Advanced placement (AP) classes are rigorous courses available for students that go above and beyond in their academics. Here at Griffith High School, there are many AP classes. There is an AP class available in almost every subject, whether it is AP Calculus AB or BC, AP U.S. History, AP Computer Science, AP Biology, or AP Psychology. Students are able to further their education in whatever subject they wish, as long as they keep their grades up. AP classes also allow students to test out of the subject so they don’t have to take that same class in college. Because AP classes cover college level material, students who score at least a 3, 4, or 5 on the annual AP exam have the advantage of moving on from that subject and receiving a college credit. AP classes have many assignments, notes, packets, and tests. Students have to have good time management skills and stay on track. Students also are encouraged to spend some time studying. AP student athletes have to balance time between practices, games, homework, studying, and other day-to-day tasks. Student athletes are students that are dedicated in sports while also keeping an A or B average in school. 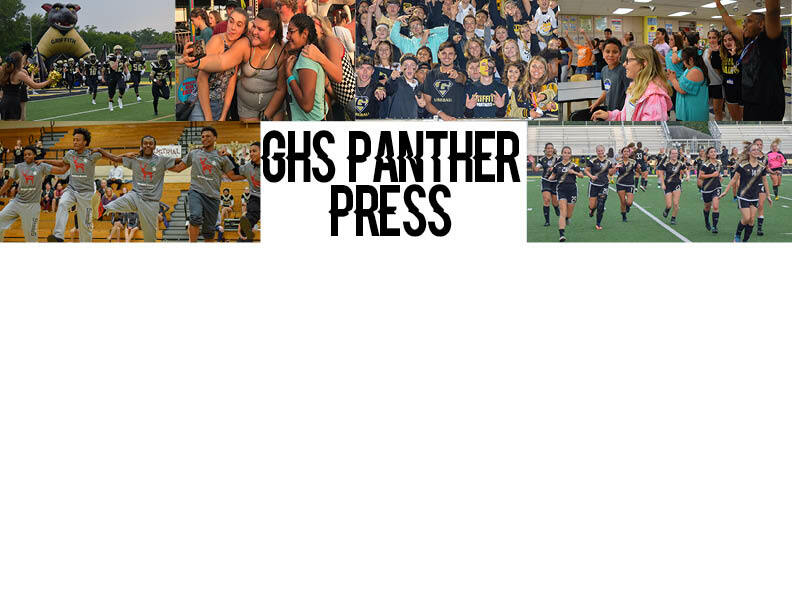 At Griffith High School, these four students have dedicated their time to figuring out what it takes to be successful academically and athletically. 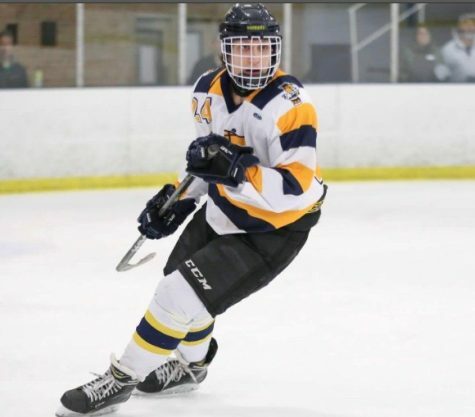 Senior Mikey Worosz is a dedicated hockey player for Bishop Noll Institute. 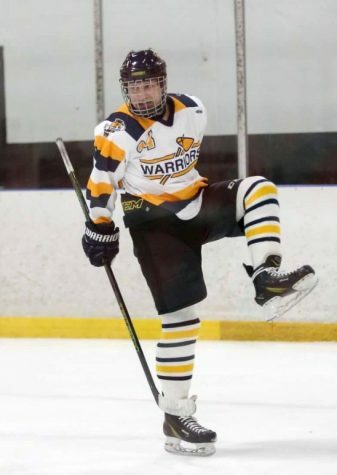 Due to Griffith not offering a hockey team, Worosz had to join another school’s team to fulfill his wishes of playing hockey. He said that he enjoys the speed and intensity of Hockey the most, but also enjoys every aspect of it. The Bishop Noll Warriors practice five to six days a week at either Dyer, Indiana in the late afternoon or Oak Lawn, Illinois late at night. They also have one to two games a week ranging anywhere from Dyer to South Bend. Worosz says that if he doesn’t do his homework right when he gets home, he won’t have time to do it due to his practice and game times. Juggling time between school and athletics hasn’t stopped Worosz. Because this is his fourth year having to do both, he has developed his own technique to stay on the honor roll while also being a strong player on his team. “It’s all about time management. If I know I have a busy weekend with hockey, I will constantly work ahead in school so that I can have time for hockey during the weekend. If you plan everything out ahead of time and have a method to follow, then you will be able to balance your time out evenly,” said Worosz. 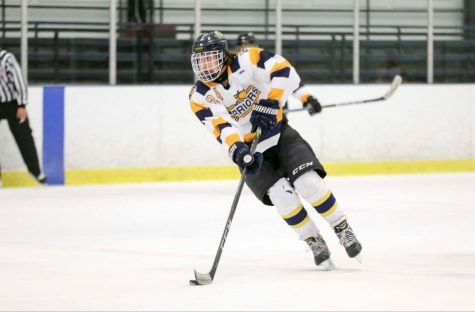 After he graduates college, he plans on trying to make the Division 3 hockey team at Trine University. He wants to attend Trine for a degree in mechanical or civil engineering degree. With hard work and passion for school, Kylee Taylor has worked her way up to being the current valedictorian of her class. She is currently taking four AP classes: AP Statistics, AP Lit&Comp, AP Calculus AB, and AP Psychology. She also is in Anatomy and Physiology for 1st Semester and Biology 2 for 2nd Semester. Although those two classes are not AP, they are both weighted classes. Academics is not the only thing she is dedicated to. Taylor is also a member of the swim team here at Griffith High School. During the swim season, Taylor practices after school everyday for two and a half hours. Sometimes the practices are in the morning. Often, they practice in the morning and in the afternoon for some extra work. Taylor looks forward to her swimming season each year. She said that the pool is a place where all of her worries go away. “At swimming practice, I have a lot of time to think to myself so it’s a good stress reliever,” said Taylor. Even though she enjoys swimming now, she does not plan on playing in college. She plans to focus on herself and her school work since she knows that college involves a big work load. Taylor usually does her homework during school and directly after school. She works on it every chance she can get to make sure she isn’t overwhelmed. “I always work on my homework before meets, on the bus rides, and on the weekends. Instead of going out on the weekends, I usually do my homework. At team-bonding and pasta night, I work on it, too,” said Taylor. 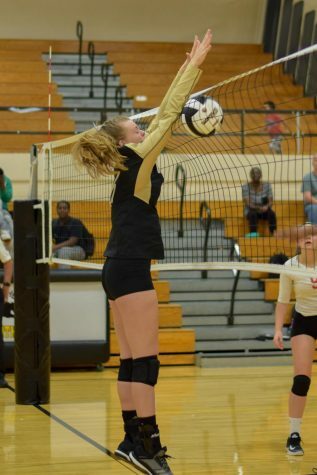 As a member of the varsity volleyball team both her freshman and sophomore year, Chloe Williams had to start off her high school career by learning time management from experience. She had to learn how to balance her time so she is successful in both volleyball and her academics. Because she has about three games a week, with practice on the other days, she has limited time to work on her homework. However, she has found the perfect balance to keep straight A’s. As of last year, she was ranked nine in her class. She is currently in AP Statistics and honors classes; all of which she maintains all A’s for her first quarter. Because of her volleyball schedule, she said that she has a lot of late nights. Sometimes she has so much homework that she has to go to sleep and try to continue it the next day. However, Williams believes that the AP Statistics teacher Sarah Cohen makes it easier. “She helps every student whenever she needs it, whether it’s one-on-one or the whole class,” said Williams. 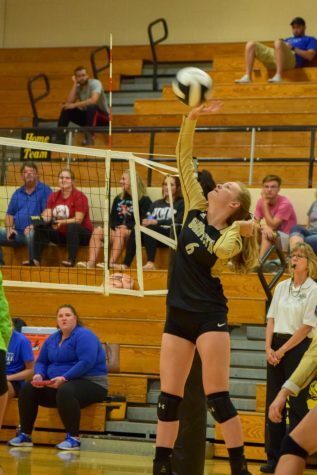 Although volleyball is very important to her, she does not plan to play in college because she wants to be able to focus on her studies without being overwhelmed. She knows that college will lead her to staying up late to study and do her homework, which is what she does not want. Freshman Emma Jacobs has a long season to keep her grades up while practicing and playing in soccer games. She started her first year of high school learning how to be a goalie for the first time. Throughout her five month process, she learned everything between how to catch the ball, when to pick it up or kick it, and how to take goal kicks. Jacobs plays soccer on the high school team. This is her first year playing soccer. She spent the spring and summer practicing with assistant coach Mitch Prunty, learning the technique of being a goalie. After months of practice she was brought up for a few varsity games while she also played junior varsity games. For this fall sport, she has two to three games a week with practices on the days she doesn’t have games, including occasional practices or games on Saturdays. “My favorite thing about soccer is the competitive aspect of it. I am able to be on a hardworking team with my friends,” said Jacobs. Jacobs is currently in AP Human Geography. Because of her busy schedule, she has to do her homework after school because she won’t have time later in the night. On the days of soccer games, she sometimes has to do her homework on the bus while going to the games. “I also try to get as much done at school as I can so I am not so overwhelmed at the end of the day,” said Jacobs. Her goal is to be the valedictorian of class of 2022. Although she has learned to enjoy her job of goal keeper, she does not plan to play soccer in college because she wants to focus on her education. Even though many people believe that balancing school and sports is difficult, causing them to be behind in school work, these student athletes showed the secret to being successful in both is time management. If students are dedicated to prospering in both, students will find a way to make it work. They can work throughout the school day, on the bus to games, before practice, and after practice. By spending a few hours practicing and a few hours on homework, students will hold steady A’s and B’s all year.